The best way to know whether a product will work in your application is to test it. Dart understands this, and is happy to send customers product(s) to evaluate through its Sample Program. Any standard product may be ordered through the Sample Program free for up to ninety (90) days. After ninety days we ask you to return it for full credit, or if you keep it we would appreciate being compensated. 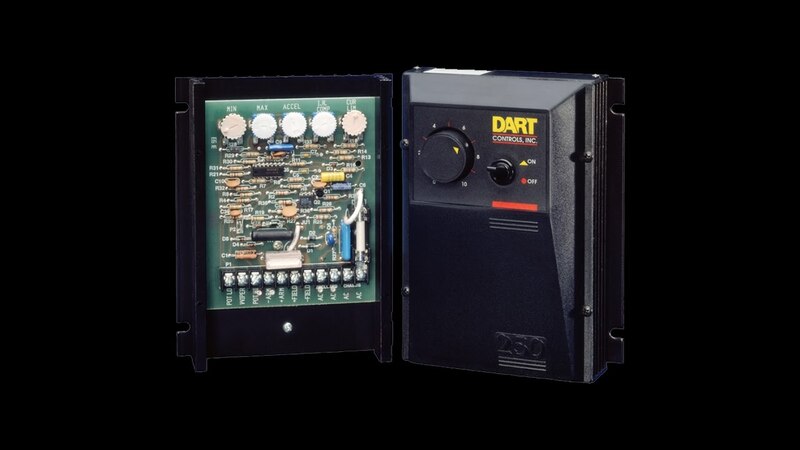 Fill out the Sample Order Form to the best of your ability, and a Dart factory Application Specialist will contact you to discuss your application and make certain we send you the right product for your needs. We ask for form of payment in advance to verify the level of interest in using our product. Your Purchase Order / credit card will NOT be billed during the 90 day evaluation period. We will follow up with you during the evaluation period to make certain your needs are addressed. Samples returned within 90 days of shipment will end any obligation on your part. This program is flexible and intended to serve. If you have any questions, concerns or special requests please do not hesitate to contact the Dart home office. Example: I have a ½ HP DCPM motor driving a feed conveyor, that is following a 4-20mA signal for its speed setpoint. The speed control will be mounted in a box on the back panel. We will use about 100 units/year. I have a few questions I need help with. 2. ACCEPTANCE: By accepting this Sample Order Seller agrees to supply the goods described at the price indicated herein and subject to the terms and conditions stipulated. 3. ORDER NUMBER: Buyer agrees to provide a valid corporate Purchase Order (existing DCI customers only), or valid Credit Card information, which will be used for Seller to receive payment ONLY IF Buyer indicates intent to keep Sample Order Item(s) beyond the ninety (90) day Free Sample Evaluation Period. The Buyer agrees to provide valid Purchase Order or Credit Card payment information ONLY after DCI factory representative qualification of Buyer’s application, but before Sample Order shipment. 4. PAYMENT: For Sample Orders secured with Buyer’s Purchase Order, the Invoice issued at time of product shipment shall become Payment in Full Due on or before ninety (90) days from the shipment /Invoice Date. For Sample Orders secured with Credit Card, the Credit Card shall be billed Not Before exactly ninety (90) days from Invoice Date. Unless otherwise specified, the payment terms of any Sample Order shall be 90 days. The Sample Order shall be deemed No Charge if the Return or Subsequent Order conditions are satisfied within the ninety (90) day Sample Order evaluation period (See Item 1. above). 5. WARRANTY: Seller expressly warrants that all materials covered by this order free from defects in material and/or workmanship, and be merchantable. Seller Does Not warrant suitability of product for Buyer’s application, and Seller not liable for Buyer’s claim of damages of any amount or description.